More than 450 participants took part in the 2018 Air Force Contracting Summit, hosted by the Defense Leadership Forum, on January 29-30, 2018 at the Hilton Sandestin Beach Golf Resort & Spa in Northwest Florida. In its fifth year, the two-day Summit brought contractors, subcontractors, military officials, contracting officers, and defense agencies together to discuss the mission and contracting priorities of the U.S. Air Force and to identify the best new defense solutions from industry. Best practices from companies across industries were shared along with strategic presentations that addressed contracting procedures for businesses and identified federal contracting resources. The Summit began with a presentation by CAPT Nathan Nelson on the 2018 defense budget of $700 billion. CAPT Nelson is the Director of Military Affairs for Congressman Matt Gaetz (R-FL-01) who services the House Budget Committee and the House Armed Services Committee. 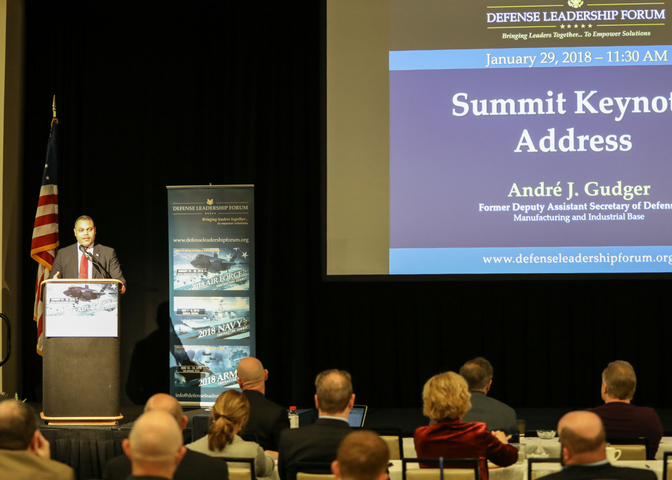 Mr. André Gudger, Former Deputy Assistant Secretary of Defense, provided the Summit Keynote Address on how to do business with the Department of Defense. “As the backbone to the American economy, we have all taken the necessary steps forward toward ensuring that the collective ingenuity that stems from our business community is reflected in the innovative products and services provided to the Air Force," said Mr. Gudger. "By taking the time to network and gain insight on how to do business with the Department of Defense, we get closer to helping the Air Force maintain the technological superiority necessary to aid in the defense of our nation." Additional speakers included Howard Snow, Former Deputy Assistant Secretary of the Navy; Eman El-Sheikh, Ph.D., Director, Center for Cybersecurity, University of West Florida; Rick Heise, President, Swift Engineering; Dave Robau, Executive Director, Gulf Coast Energy Network; and USAF contracting officials. The Air Force Contracting Summit strongly emphasizes networking and contracting opportunities between prime contractors and new subcontractors. More than 40 exhibitors showcased their defense solutions. 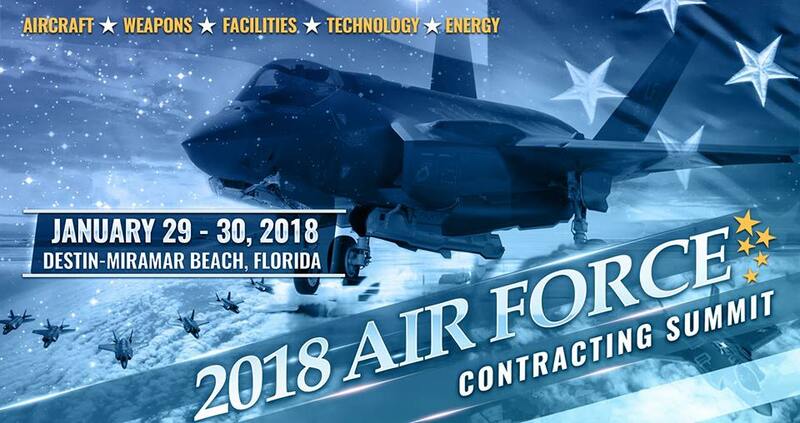 The 2019 Air Force Contracting Summit will be held January 31 through February 1, 2019, at the Hilton Sandestin Beach Golf Resort & Spa. For more information, visit http://www.defenseleadershipforum.org.